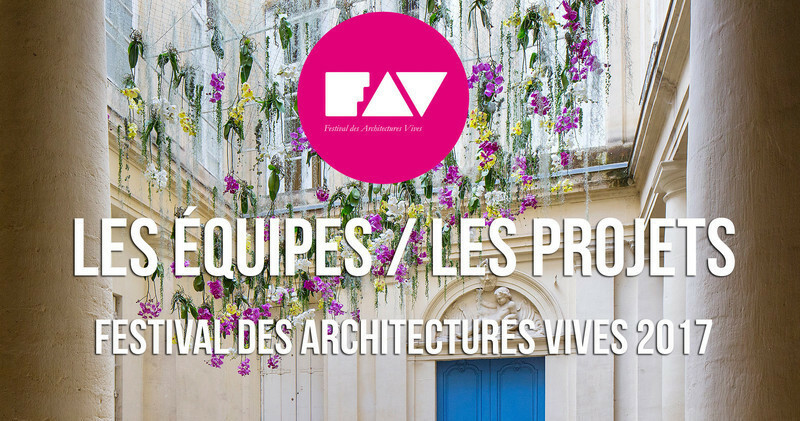 The Festival des Architectures Vives is an architectural course dedicated to a wide audience that allow to discover or (re)discover emblematic sites in Montpellier and in La Grande Motte thanks to ephemeral projects created by young architects teams. 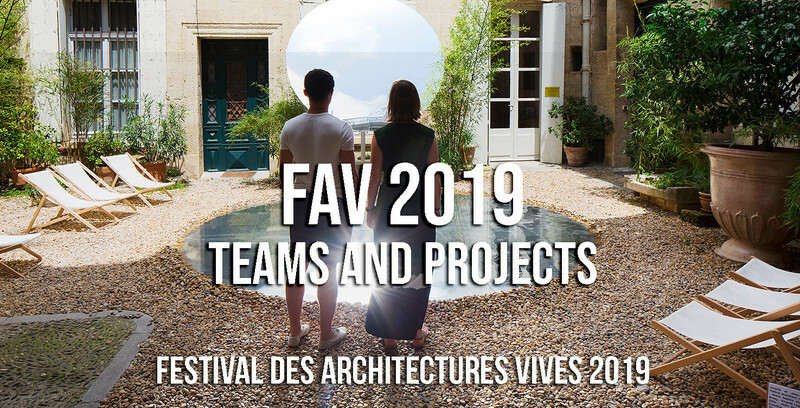 The FAV aims to highlight the work of young architects who propose, create and test and for whom the installations are usually the first built project. 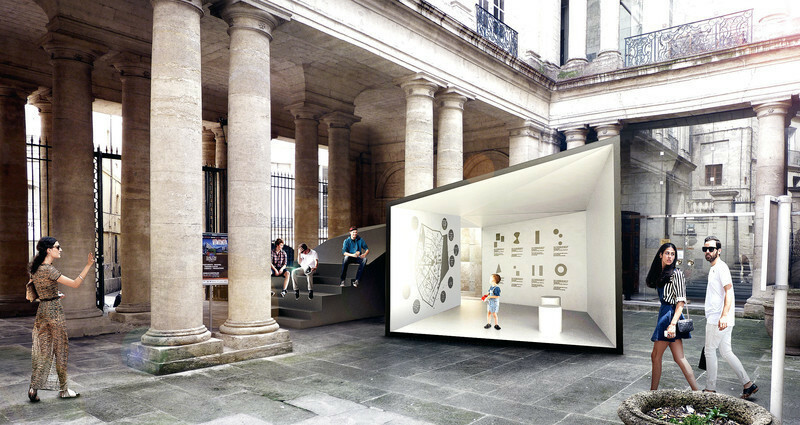 The idea is to create a discussion between this ephemeral architectures and a wide audience and to valorize the heritage. Every year, the Festival is visited by a large public and the 2016 edition received 20 000 visitors. Moreover, the Festival is committed to raising awareness in school, the festival received 75 kindergarten and primary classes so as to take part at this new program. 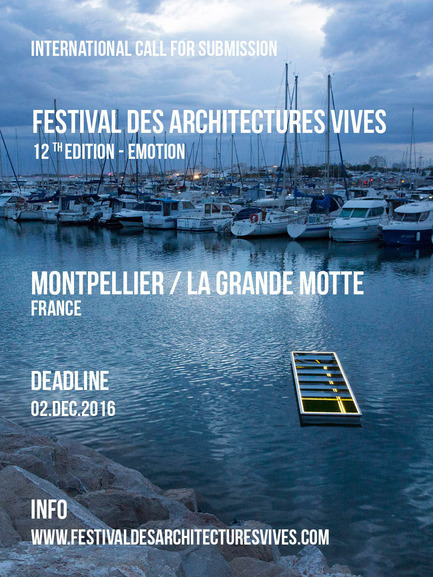 For the 12th edition, the Festival des Architectures Vives in Montpellier will take place from 13th to 18th June 2017 and the 5th edition of the festival in La Grande Motte will take place from 17th to 25th June 2017. The festival thematic is Emotion. 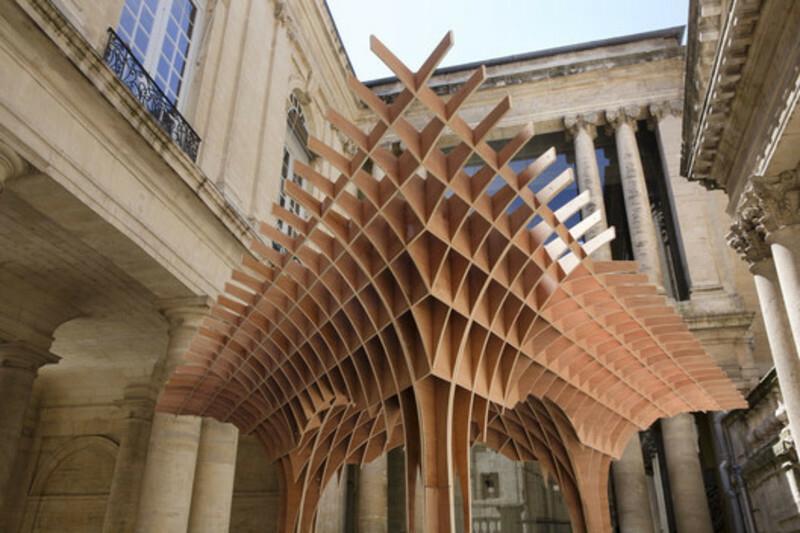 The Festival des Architectures Vives wishes to answer the evolution of architectural practice which, by integrating all the domains related to its culture, does not hesitate to assert itself through realizations. The “Architectures Vives” are short-lived and evolutionary by nature; each time localized, registered in a short temporality and thought for a specific place. 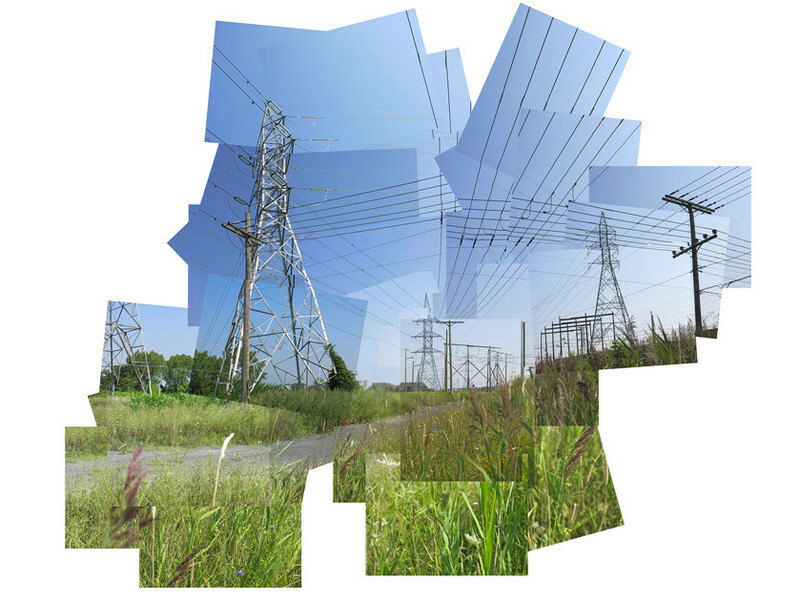 Like augmented reality, they add, transform, reveal a forgotten and invisible space or on the contrary too exposed. Respectful of their environment, they change it in an inhabited environment where the past, the present and even the future are one. 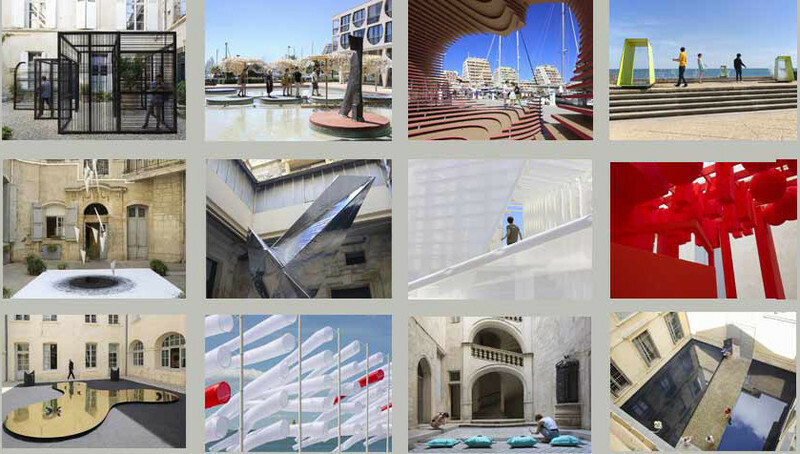 The “Architectures Vives” create an environment where the imagination of each and everyone is possible. So, they have a sense of humour, as much as humility. Refusing the unchanging, during the Festival they question our everyday environment. Targeting a large audience, they offer a sensory adventure, an unconventional glance. They position themselves as a revelator. The “Architectures Vives” are objects of desire, envy and simply wish to find the sense of the pleasure of the place, the city, to offer the sensitive and the tactile, to reposition the Man in the heart of the architecture. 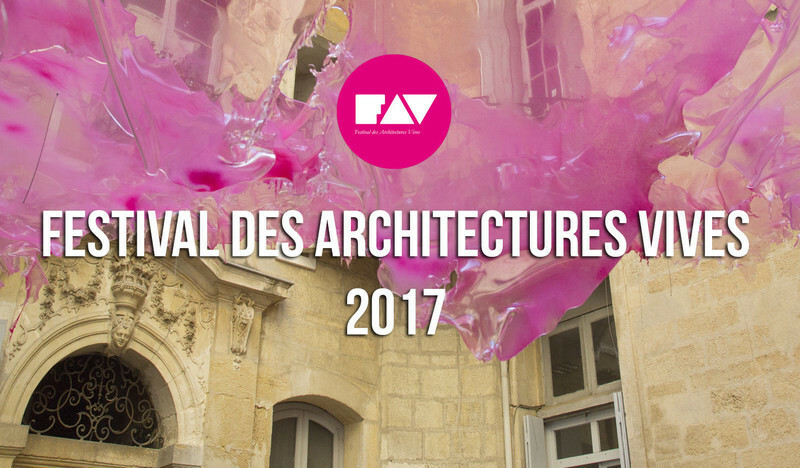 For this 12th edition of the Festival des Architectures Vives in Montpellier, the chosen sites are in adequacy with this historical city. One of its treasures is the presence in the heart of the city of several hôtels particuliers. Today, Montpellier counts more than seventy of them. Lots of these private mansions and inner courtyards are not open to the visitors on a daily basis. In their history the courtyards that are half private and half public, have had many purposes, from place of representation, distribution hall, but today it remains uninhabited. Lacking in function, they appear as ordinary spaces that are just crossed to reach a private apartment. Forgotten, because they are inaccessible, or forgotten because they are inappropriate, these courtyards disappear little by little from the common knowledge, even from the collective imagination. They become real forgotten spaces but they nevertheless maintain their own specificity, playing between shadow and light, offering a possibility to glorify these places with few things. 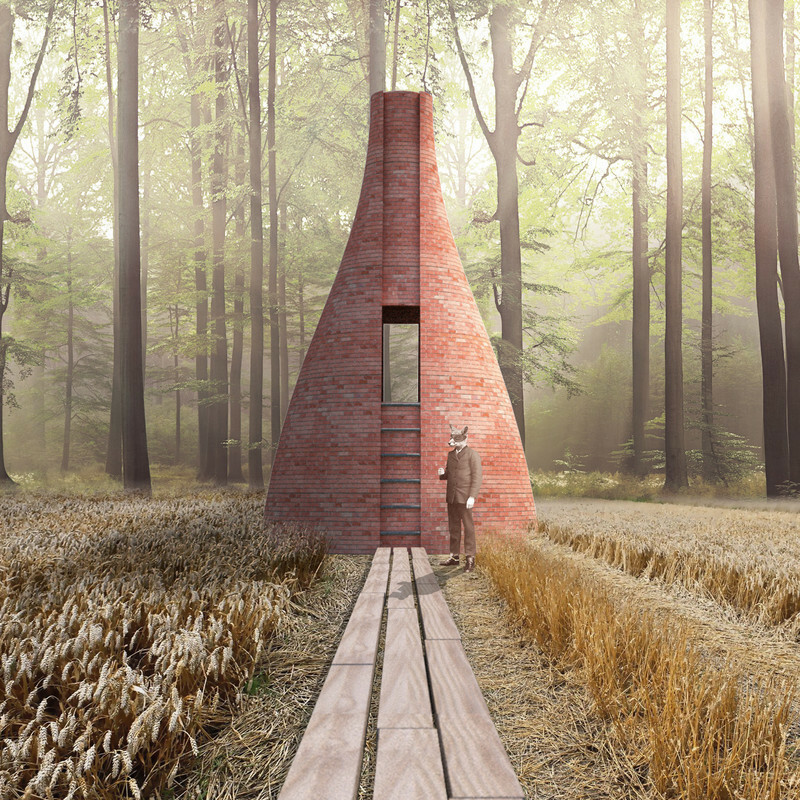 Thus contemporary architecture will enjoy revealing and waking up sleepy sites. 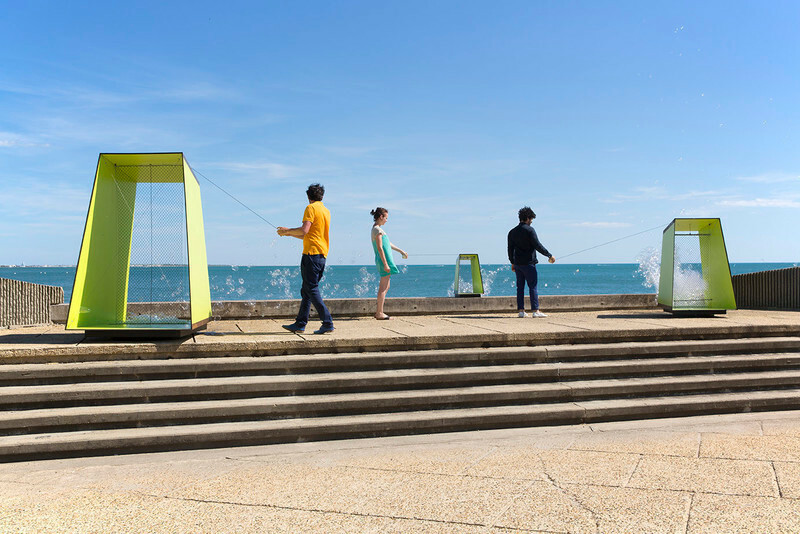 For this new edition in La Grande Motte, which received the « Patrimoine du XXe siècle » label from the Culture and Communication Ministry, the chosen sites will allow to discover the urban diversity. Jean Balladur, architect of La Grande Motte wanted its architecture to reveal its time. 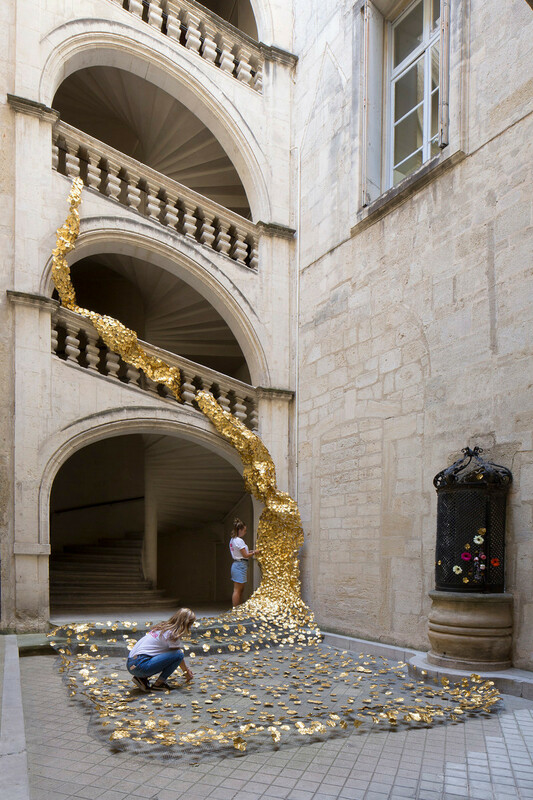 In agreement with this vision, the installations will reveal in those chosen places, the value of their history while positioning them in a very real contemporaneousness. 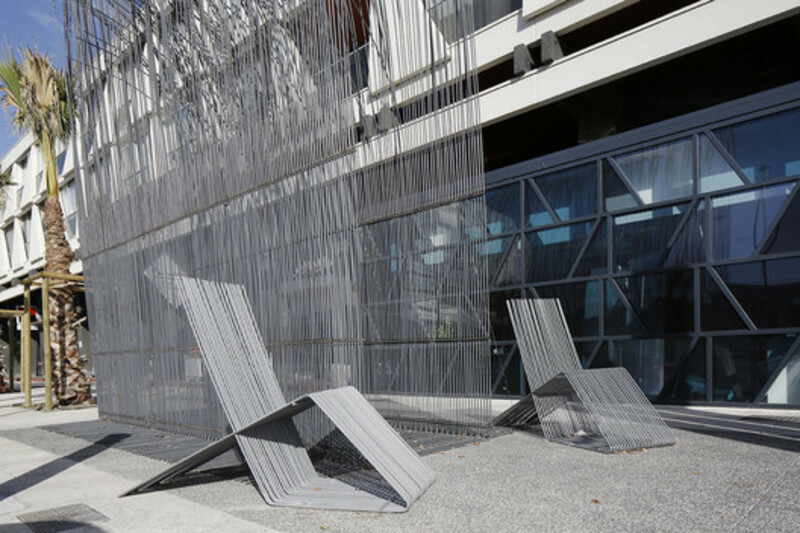 To see, to revise, but especially to discover through another look, will be the ambition of the Festival des Architectures Vives in La Grande Motte. Emotion: noun. Emotional reaction, abrupt and temporary, pleasant or painful, often accompanied by physical demonstrations. Architecture is part of everyone environment, it constitutes the built framework in which it is possible to evolve, to grow, learn, love, tear… to live. Receptacle of our emotions, it constitutes the framework of it but also its possible activation. Towards a new architecture, John Rodker, 1931). 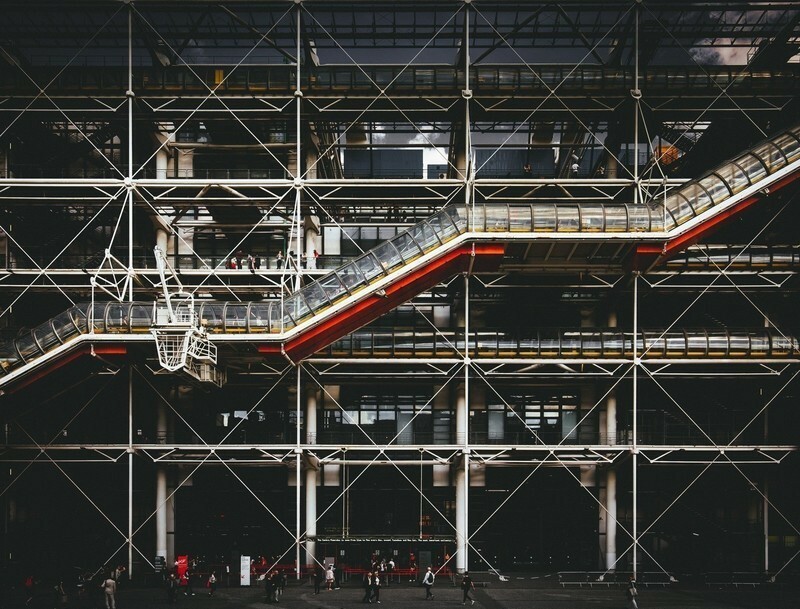 We understand that Architecture can’t be sum up as a simple technical or programmatic issue regarding the standards even if it has always been the prerequisite. 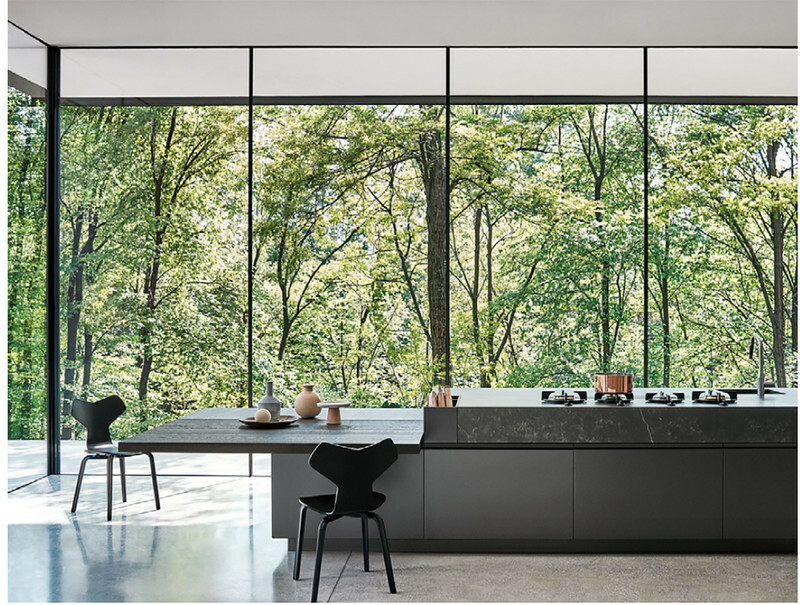 Architecture and architects ability is to bring an additional layer thanks to the handling of space, materials, light in order to create emotion. 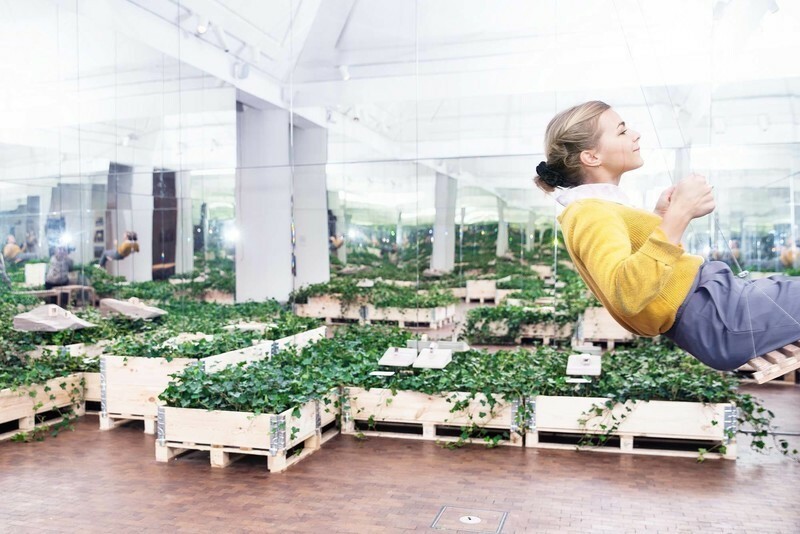 Architecture, thanks to the architects’ interventions, joins together not only the physical environment but also the mental space, building the wellness conditions. 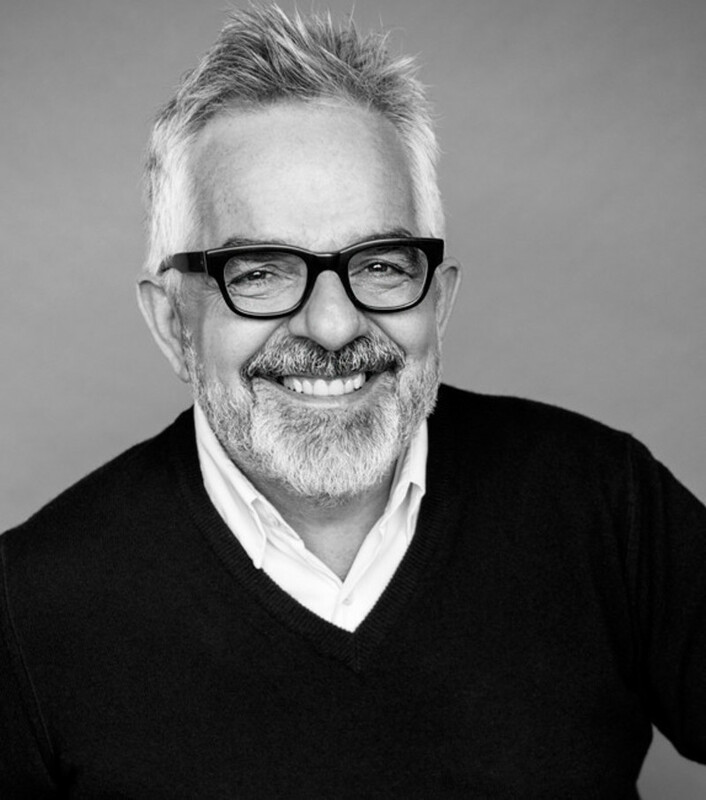 So, architecture is able to create emotion in fields that we are going to explore during this new edition of the Festival des Architectures Vives. 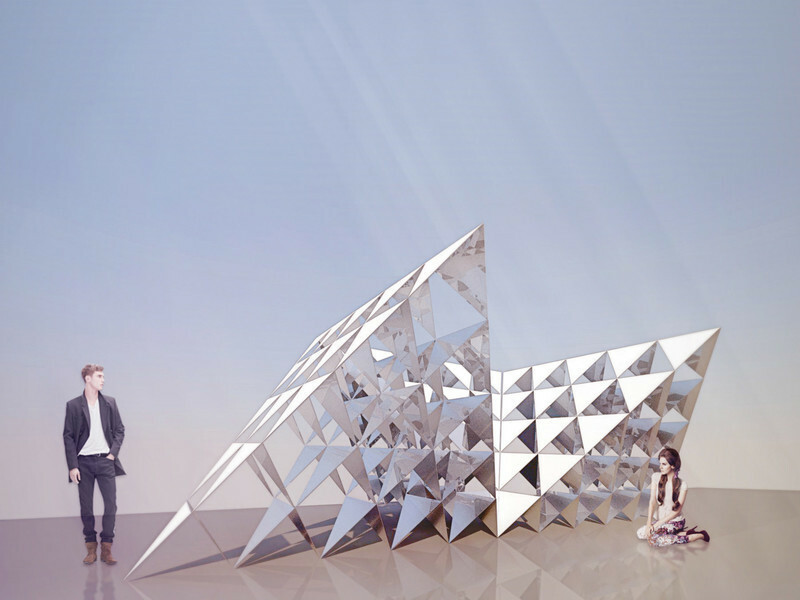 Each proposed installation will be able to create an emotion, a positive or a negative one. 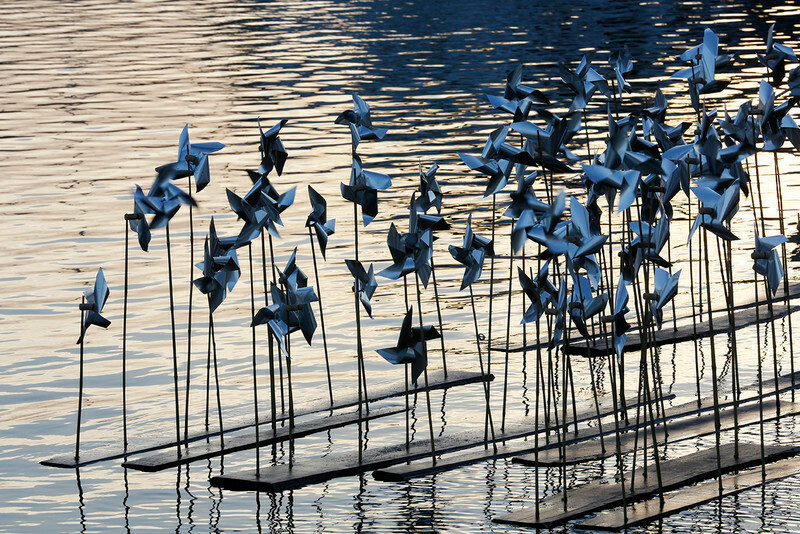 We will find, quite, happiness, sadness, surprise, fear… This emotion will be created by the link between the ephemeral installation and the power of the intervention site. Ephemeral offers the possibility to show the potency of each experience that will be offered to the spectator. 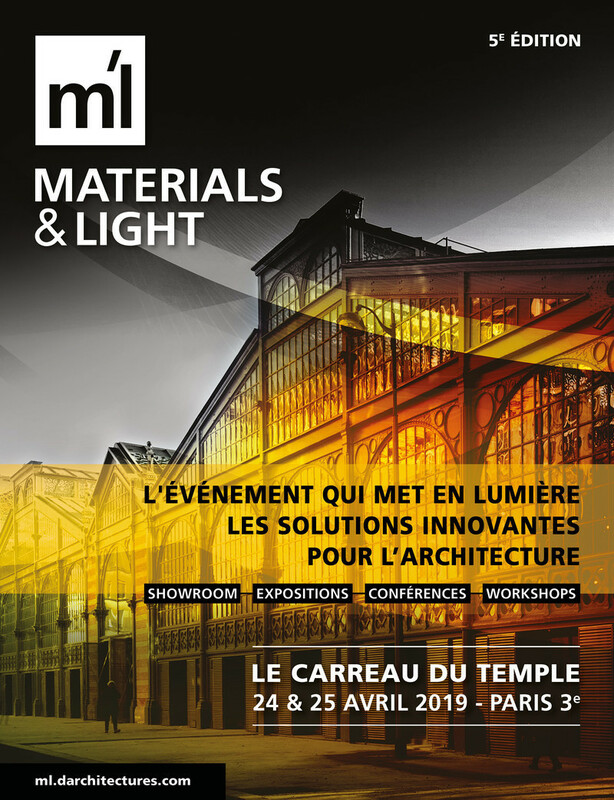 Once again, the festival aims to show that architecture is able to transcend a place and is a capital gain necessary in the construction of our environment. 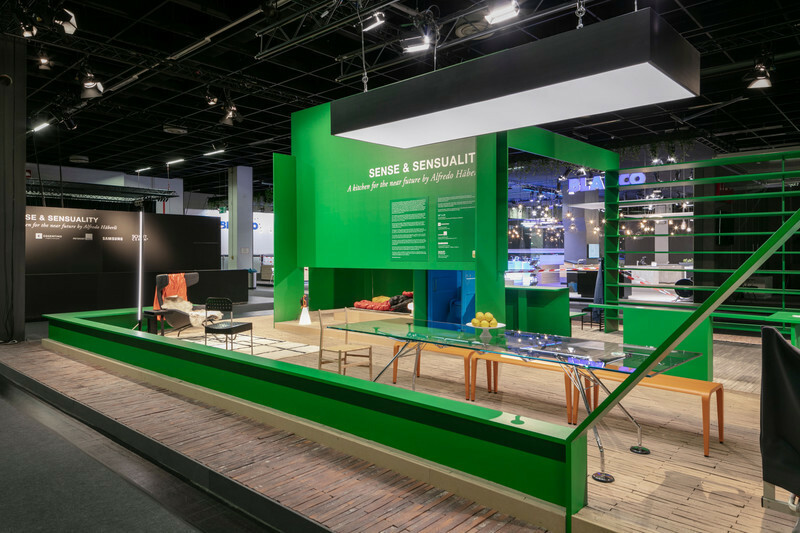 By experiment the projects, visitors are going to obtain the conviction that architecture acts on our way of living together. The lively architectures will reveal at the same time, the existing patrimony emotional potency and the power of their proper strength. 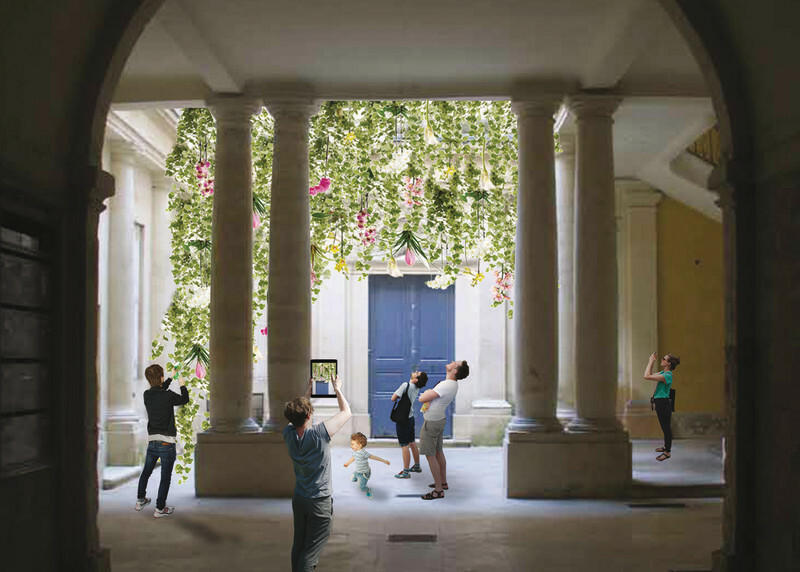 The consultation is opened to young architects and landscape architects. 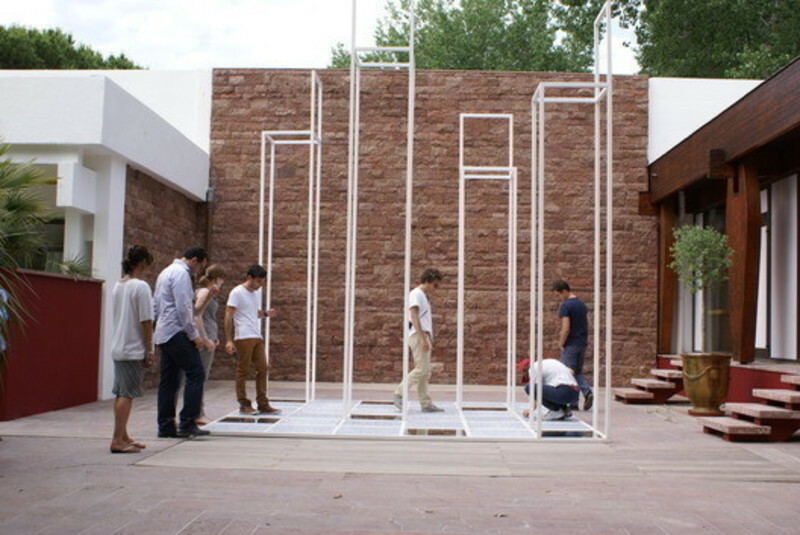 The objective is to promote the young architecture creation. 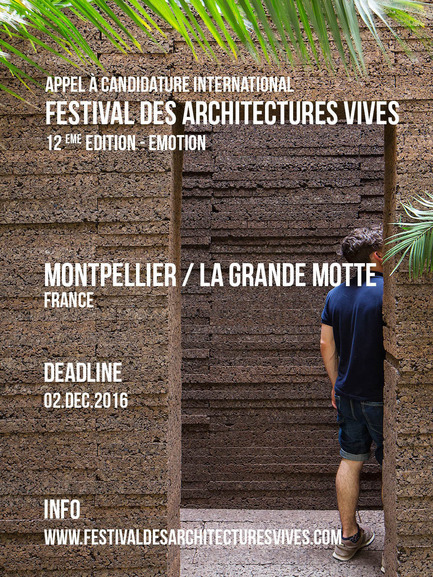 Thank you to specify in the mail title for Montpellier « 2017 FAV applications MONTPELLIER » or for La Grande Motte « 2017 FAV applications LA GRANDE MOTTE ». Submissions candidatures have to be sent by one PDF file (maximum 10 Mo) or they will be rejected. + Team presentation with Curriculum Vitae of every member (Mandatory) – 1 A4 format by member. 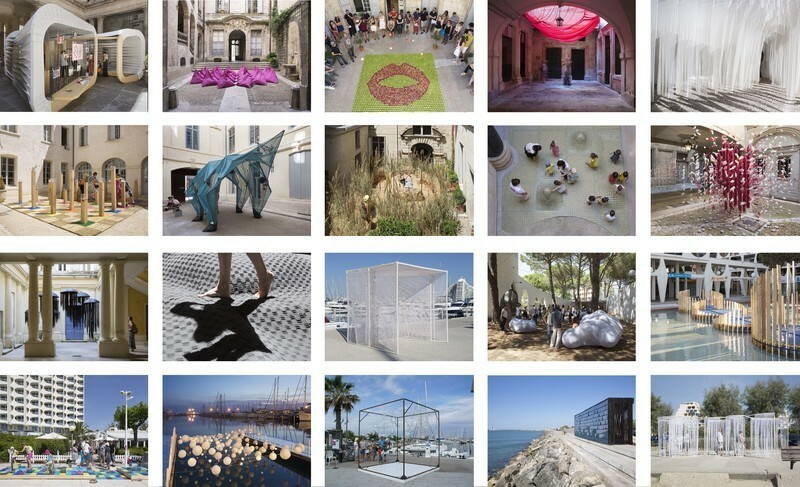 + Note of intention towards the Festival des Architectures Vives of Montpellier and about theme Innovate. That note of about one page must explain the concept of the project. (Mandatory) An image can be included into the note. The results of the selection will be announced in January 2017. A file presenting in detail theme and technical constraints connected to the conception of an intervention (ground, exhibition, visitors, proposition of setting-up presence…) will be sent to the selected candidates. Nevertheless, the exhibition places can be chosen among those which are presented on the website where you can download pictures. The team selection will be made only with this application file. The festival will take place from 13th to 18th June 2017. It will be possible to visit the sites during a tour organized in January. A subsidy of 1 000,00 € TTC will be assigned to each of the 10 realized projects. A book of the 12th edition presenting the realizations will be published at the end of the year 2017. 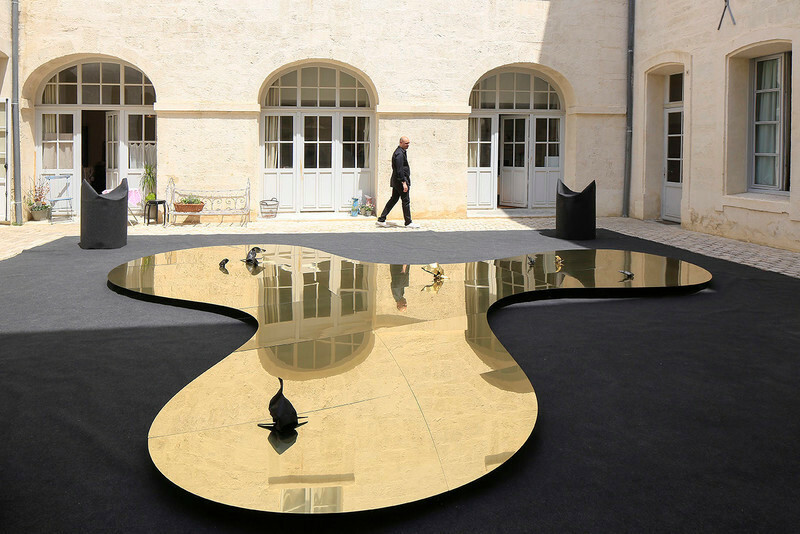 Specific constraints: Installations will take place in the courtyards of private mansion; they must take into account the specific conditions of occupation and not to harm the inhabitants or the built environment. The safety of visitors and locals, day and night must be ensured. The festival will take place from 17th to 25th June 2017. A subsidy of 1 000,00 € TTC will be assigned to each of the 8 realized projects. A book of this edition presenting the realizations will be published at the end of the year 2017. 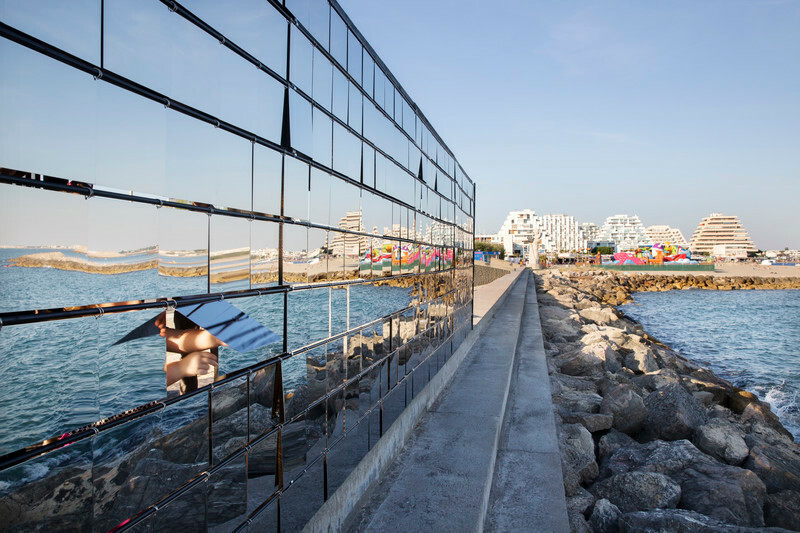 Constraints: facilities will take place by the sea and in the public space, they must take into account the climate and technical conditions as the possibility of very strong wind and damages. The visitors’ safety must be ensured day and night. The FAV 2016 Books Just Arrived! 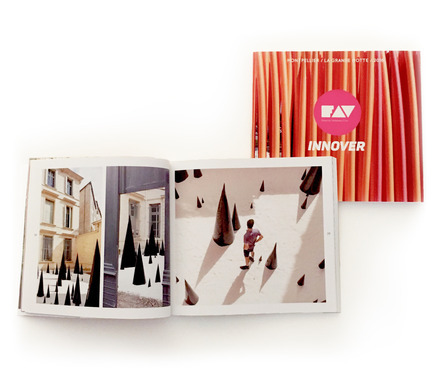 We are happy to inform you that the 2016 FAV book is now available, you can order it right now by sending an email to the address below, with the subject: "Order the book - FAV 2016".